Carlos, the owner of the two Las Delicias trucks told us that he relocates his newer truck to Rhodes Park on Sundays. When he mentioned that there were other food vendors there, we were curious and we’ve been waiting for a sunny Sunday afternoon to check it out. 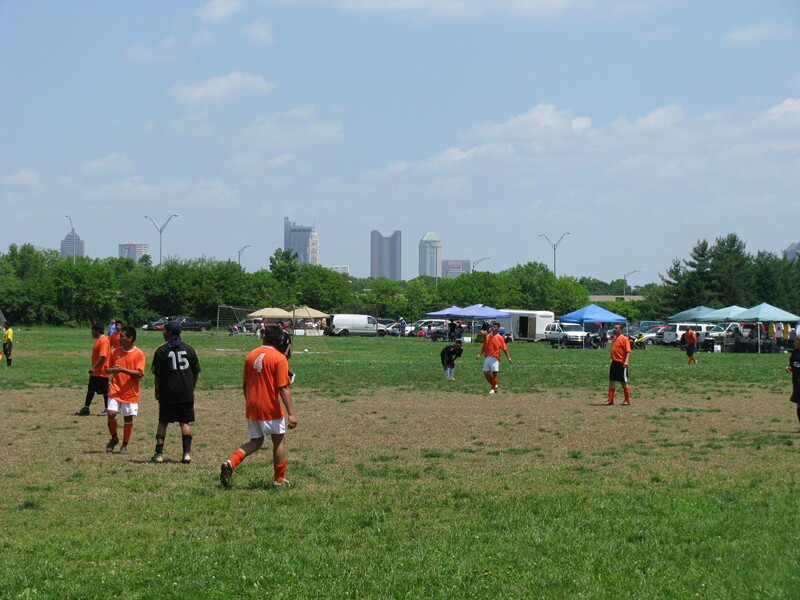 The vendors are here to to feed hungry soccer players and spectators and games run all day from 9am until it gets dark. 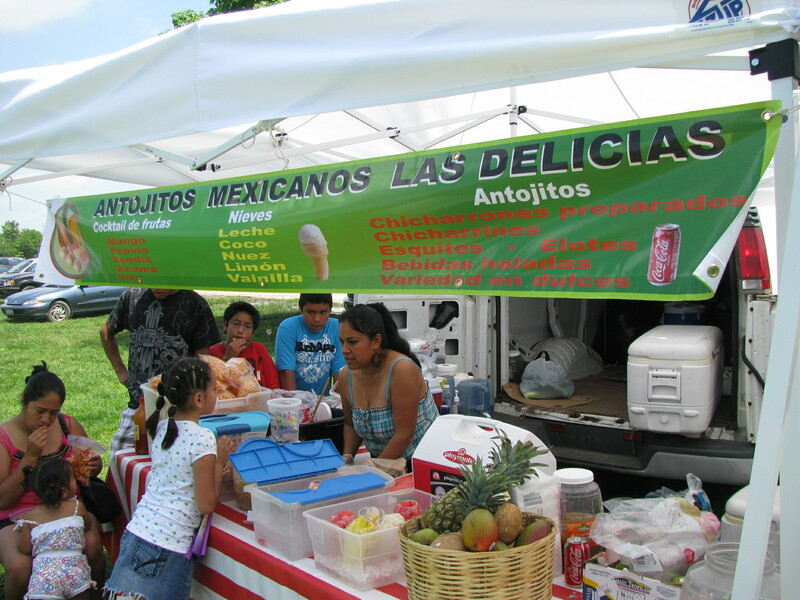 Apart from two ice cream trucks circling around, most of the vendors were Mexican including two taco trucks – Las Delicias II and El Mexicano. 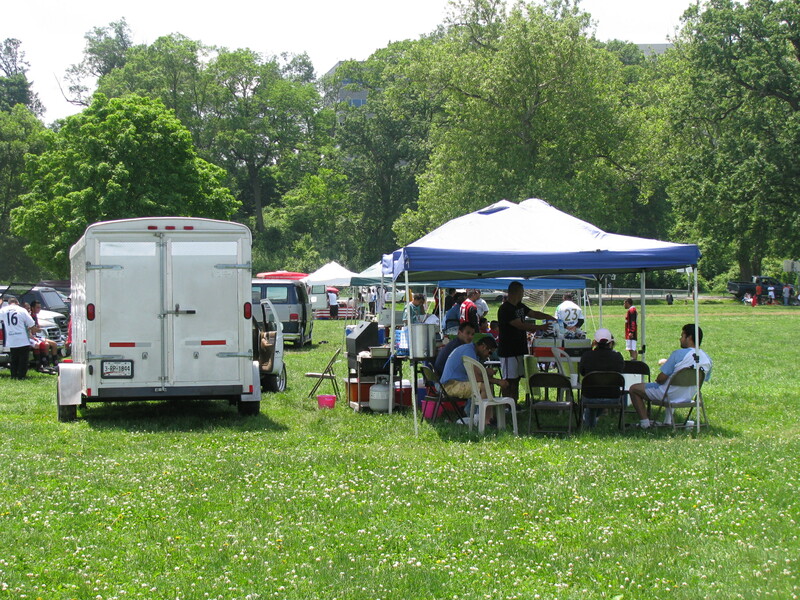 The rest of the vendors had set up tents and tables and there were coolers galore. It was like a mini festival and it happens every weekend. Common offerings included: tacos, tostadas, chicharrones preparados (fried pork rinds topped with pickled pork rinds), agua frescas (pineapple, watermelon or horchata), nieves (ice creams) and fresh fruit cocktails. There were rumors of tamales, but as we never found them I’m guessing they sell out early. 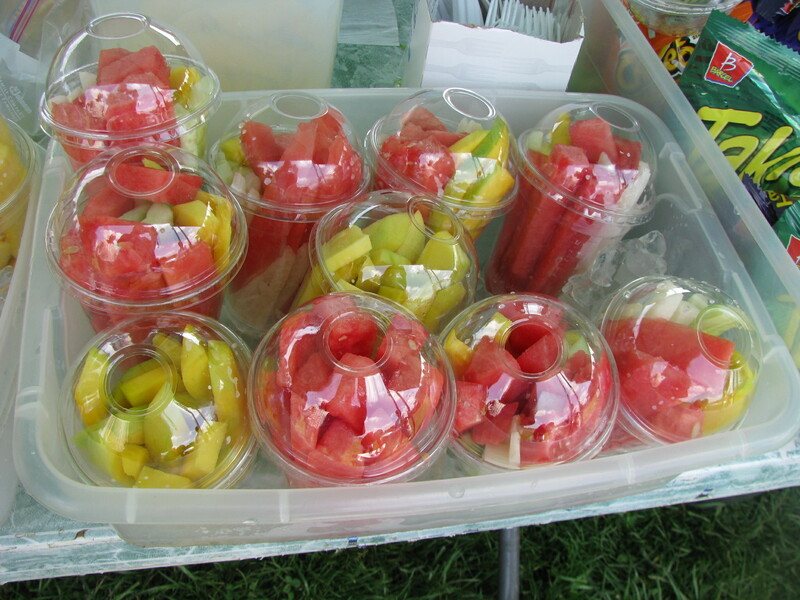 The fresh fruit cocktails contained varying proportions of mango, cucumber (pepino), jicama and watermelon (sandia) and could be topped with your choice of lime, salt, hot sauce or chamoy. 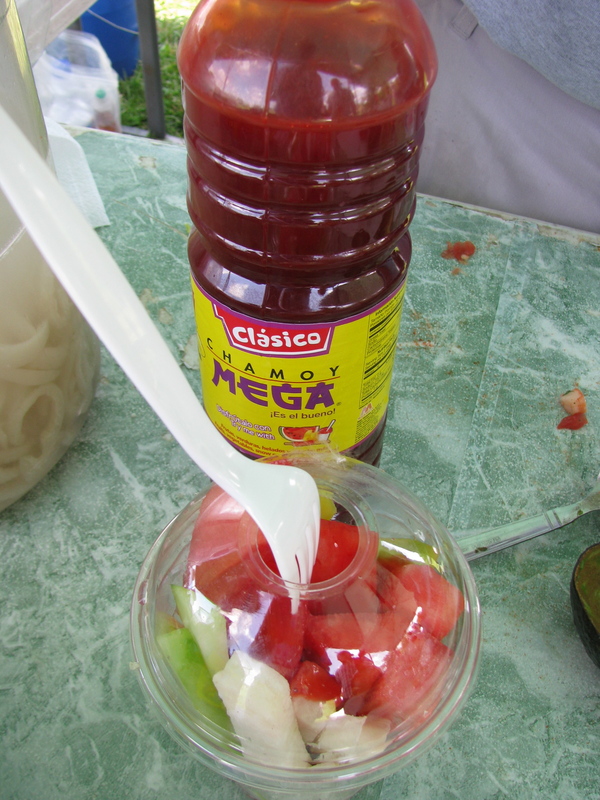 Chamoy is a sauce made of pickled fruits and is simultaneously sweet and salty and spicy. It definitely gives the fruit an added dimension. 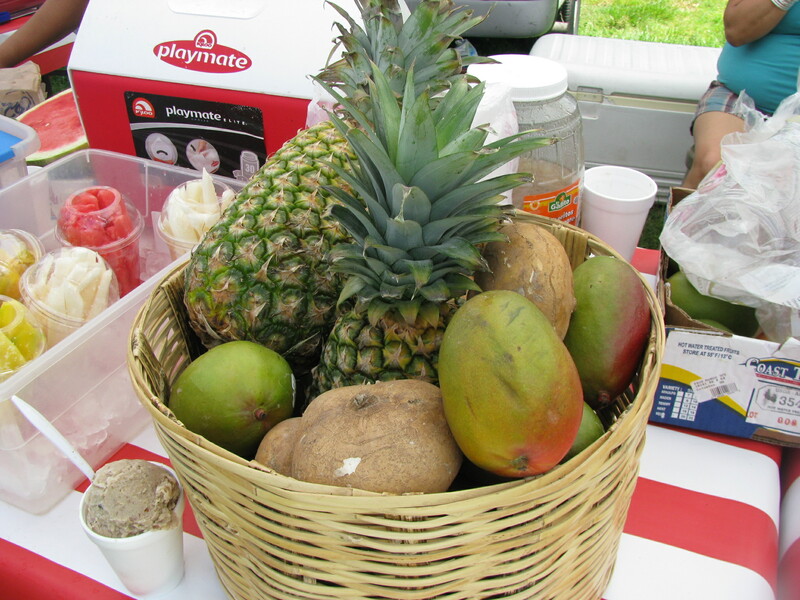 Whether your preference is fruit cocktail, pork rinds or ceviche, watching some soccer and cooling off with some nieves or agua fresca, is a fun way to spend a Sunday afternoon in the park.